There's no shortage of job recruitment sites out there, dedicated to getting the right person hooked up with the right company. They do it one of two ways: either by recruiting active candidates, who are searching for new employment on job boards, or they are recruiting passive candidates, those not looking for work, mostly by looking at their LinkedIn profiles. There's now a third category emerging in the space: talent rediscovery. Pioneering this new form of recruitment is Restless Bandit, an HR software company that rediscovers the best matched candidates within a company’s existing pool of past applicants. The company officially launched on Tuesday, along with $10 million in financing from GGV Capital and Toba Capital. That includes a $2 million seed round, and an $8 million Series A. Restless Bandit’s solutions use artificial intelligence, data science and machine learning to save recruiters time, substantially increase applicant quality and reduce company spend on job advertising. Its flagship product uses these talent matching algorithms to programmatically rediscover, and reach out to, the best candidates already in a customer’s applicant tracking system. Restless Bandit was founded by Steve Goodman, the former co-founder and CEO of data insight company Bright, which was sold to LinkedIn for $120 million in 2014 (that was the largest deal ever for LinkedIn at that time). The origins of Restless Bandit lie in what Bright had been doing, Goodman told me in an interview. "Bright aggregated 50 million resumes, and 100 million job descriptions, to find the best fit between a candidate's resume and that job description. A company could use our algorithms to eliinate 80 percent to 90 percent of applicants, and surface the best people for an interview," he said. 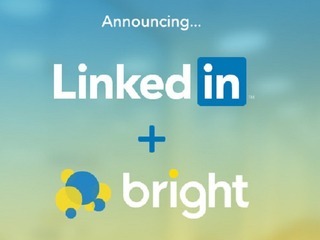 "When were at Bright, and then LinkedIn, our customers said to us, 'We would love to be able to apply that alogrithm to our internal resume pull. So, if Coca Cola, for example, has received three million resumes over the years, maybe they have someone who was a silver medalist. They weren't gold medalist, but they were still good, yet they applied a year ago, but they were too late, or it was the wrong industry or job. Right now, companies don't have a good way to get at that data." Restless Bandit applies the same model it used with Bright, but to the resumes that these companies already have on file. Ultimately, this saves the companies both time and money in terms of filling those positions. "Instead of sifting through candidates, 80 of which are not qualified, we reach into the system and find candidates that are deemed minimally qualified. That means saving time, which can be spent with qualified candidates, and putting butts in seats much quicker," said Goodman. 'In terms of cost, companies have to spend much less money distributing jobs all over the Web. It costs between $25,000 and $50,000 a year to use Restless Bandit, while it cost between $5,000 to $8,000 for one candidate." In fact, he said, 30 percent to 40 percent of applicants are already in the system, having previously applied, so those companies were paying for those same people to apply to jobs over and over. While the company hasn't been around long enough to provide hard numbers for ROI, it has already seen companies getting response rates that are 14x higher than LinkedIn emails, mostly because they are going after candidates that want to work there, who are familar with the company and have already applied. "We can really help companies with efficiency. We can close the time it takes to hire, and increase quality substantially, while reducing the cost. This way companies wont have to distribute jobs, they can find candidates who were hiding in plain site," Goodman said. One important aspect of what Restless Bandit does is what it calls' Resume Refresh." Old resumes are likely out of date, and don't have the most recent information on them, so the company automatically updates resumes already submitted to companies with publicly available data. The typical customer for Restless Bandit is a large company, one with 1,000 to 2,000 employees, and which has been around long enough to build up that large database of resumes. So, a company like Uber, given its young age, might not be an ideal candidate, but Exxon Mobile, could be since it would have a backlog of resumes to sift through. The company already has 15 customers, including Gannett (USA Today), IHOP, Applebee's, comScore, Rosewood Hotels, Cabot Corporation, and Aimco. Restless Bandit plans to use its new funding to build out the team and continue to power the data science behind its products. It currently has 20 employees, 15 of whom are in engineering, and it plans to have 30 to 35 employees by the end of the year. That means employing more engineers, as well as hiring in both sales and product development as well. Despite having just launched, Goodman is already looking down the road to where he would like to take the company next: employee mobility, allowing existing workers to more easily find other jobs within their own companies. "Large companies have massive employement opportunities in other units, but often the employee has to figure out themselves and the employee of that company applies through a job board. We'd like to take on employee mobility," he said. "We want to provide a dashboard for workers to inventory their skills, so companies can make clear decisiions on which of those skills needed in new product areas or geopgraphies. That type of analysis, any HR exec would die for. Its a category that is becoming more and more prevalanet."